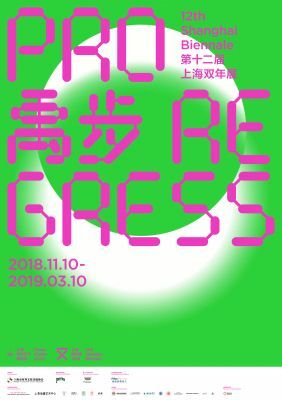 As a unique urban identity and cultural trademark, the Shanghai Biennale has long been committing itself to enabling active dialogues between contemporary art and culture and the booming city of Shanghai. First launched in 2012, its City Projects has now grown to be an integral functioning component of the biennial event. For its 12th edition, the Shanghai Biennale will team up with a rich selection of partners of different backgrounds including the Swatch Art Peace Hotel, Tank Shanghai, Extra Time, Columbia Circle (renewed site of SIOBP), Sinan Mansions, Biblioteca Miguel de Cervantes de Shanghái, and The Paper · City Hall, setting up parallel sites across city such as pavilion, cinema, laboratory and sound field as well as dispatching historical investigators and explorers, in the expectation that such innovative forms can help provide distinctive life perspectives to the public as we re-discover Shanghai’s cultural charms. On October 26, a press conference for the 12th Shanghai Biennale’s City Pavilions Program will be held at the Swatch Art Peace Hotel, where the program’s initial plans will be announced. This also marks the hotel’s continued commitment to the art world after delivering a partnership with both PSA and the Shanghai Biennale over its 11th edition in 2016, as the art-loving hotel hopes to fully integrate the upcoming 12th episode to Shanghai’s urban life and pursue closer connections and interactions with the audience. The 12thShanghai Biennale’s exhibitional network will nomadically expand to urban spaces beyond its main venue at the Powers Station of Art (PSA).The Swatch Art Peace Hotel on the city’s iconic Bund area will house Incarnation, a most recent work by Taiwanese artist Yao Jui-chung, while soon-to-open Tank Shanghai will display Prussian Blue by Yishai Jusidman from Mexico and multimedia artworks freshly delivered by Ryoji Ikeda from Japan. *Exhibitions at both City Pavilions will open in line with the 12th Shanghai Biennale’s main venue and last nearly four months. During the four-month Shanghai Biennale, Extra Time at Poly Sunny Walk, one of the city’s rising shopping destinations, will help screen videography projects in the capacity of City Cinema. Projects already scheduled now include video installation Replica by Spanish artist Jota Izquierdo, film project The Proposal by American artist Jill Magid, and latest cinematographic work Ultramarine by Belgian artist Vincent Meessen, as this non-white-box location with highly specialized screening capabilities seek to bolsterfar more enjoyable viewing experiences for the audience. *A detailed screening schedule will soon be published on PSA’s official WeChat account “yancong PSA”. Renovated from the old site of the Shanghai Institute of Biological Products (SIOBP), Columbia Circle will contribute to the 12th Shanghai Biennale by acting as its City Laboratory. Scholars from various disciplines including urban planning and sociology as well as artists utilizing different media will descend as “City Researchers” to conduct investigations and studies around the popular hangout and its surrounding neighborhoods, as they attempt to foster cross-disciplinary dialogues and break barriers erected by monochronic mentalities. And Columbia Circle will also stage special exhibitions to present all eventual research- and creativity-based achievements. By partnering with the 12th Shanghai Biennale, upscale lifestyle destination Sinan Mansions and Biblioteca Miguel de Cervantes de Shanghái will assume yet another trendy identity as the City Sound Field. Starting with the biennale’s Latin American artists and their works, this unique partnership will invite local Hispanic cultural workers to carry out a series of events including forums and workshops, thus diving deeper into the theme and contents of the biennale to promote cultural exchanges and mind collisions between Latin America and China. Last but not least, the 12th Shanghai Biennale will also team up with well-known local current affairs column The Paper · City Hall to jointly launch a special investigation program called “Your Places”. It will invite 10 scholars specializing Social Sciences and Humanities to act as observers and recruit artists and members of the public as the biennale’s City Historical Investigators and Local Explorers. While the observers will explore Shanghai’s evolving business ecology over the decades with case studies in reference to the Shanghai Street Directory or Business Map published in 1947 (the 2nd edition, the 1st one was published in 1939), the other two special taskforces will roam around different corners of the town to investigate and summarize its public facilities and propose better ideas about its future life. First launched in 1996, the Shanghai Biennale is not only China's most established and influential international biennale of contemporary art, but also one of the most important biennales in Asia. From Open Space in 1996, to Inheritance and Exploration in 1998, Spirit of Shanghai in 2000, Urban Creation in 2002, Techniques of the Visible in 2004, Hyper Design in 2006, Translocalmotion in 2008, Rehearsal in 2010, Reactivation in 2012, Social Factory in 2014, and then to Why Not Ask Again in 2016, the biennale has always taken Shanghai as its primary focus, gathering the most talented and cutting-edge international curators and artists at the pinnacle of the industry, to explore the ultimate connection between urban life, contemporary art and the public. It has also become a large-scale biennial platform in Shanghai for the exchange and exhibition of contemporary art pieces. Established on October 1st, 2012, the Power Station of Art (PSA) is the first state-run museum dedicated to contemporary art in mainland China. It is also the hosting organization for the Shanghai Biennale since 2012. Renovated from the former Nanshi Power Plant, PSA was once the Pavilion of Future during the 2010 Shanghai World Expo. The museum has not only witnessed the city’s vast changes from the industry age to the IT era, but also provided a rich source of inspirations for artists with its simple yet straightforward architectural styles. And as Shanghai’s generator for its new urban culture, PSA regards unceasing innovation and progress as the key to its long-term vitality. It has been striving to provide an open platform for the public to learn and appreciate contemporary art, break the barrier between life and art, and promote cooperation and knowledge generation between different schools of art and culture. Swatch loves art and believes that artists, with their messages, freedom, energy and focus, contribute to making the world a better place. Swatch has been working closely with artists for more than thirty years. The Swatch Art Peace Hotel represents a further commitment to support artists and their work. Tank Shanghai, founded by renowned contemporary art collector Qiao Zhibing, is a multifunctional cultural hub that combines exhibition venue with parkland, plaza, bookstore, education center and restaurant. The project spans over 60,000 square meters.Tank Shanghai will be opened to the public in 2019.Tank Shanghai aims to foster connections among the public, contemporary art, urban life and nature. It is an upcoming center for public cultural activities and art at the West Bund. An experimental platform for art innovations, Extra Time aims to congregate an open social community that narrows the gap between artists and art lovers. Through distinctive and exclusive space designs, Extra Time seeks to foster an immersive atmosphere with embedded comfort as well as a gathering place where disruptive experiences over art, film and music are explored. Situated whereJing’an and Xuhui districts meet, the renewed site of the Shanghai Institute of Biological Products (SIOBP) sits on a favorable location that joins three of the city’s most-admired historical districts along Yuyuan, Hengshan-Fuxing, and Xinhua roads. Initially known as the Columbia Circle, the compound was designed by Hungarian architect László Ede Hudecto be a popular hangout before it waslater occupied by SIOBP. After the institute moved out, Shanghai Vanke partnered withinternationally-acclaimed architectural firmOMA to inject new life into the compound by turning it into a shared site suitable for both living and working. Opening 7x24, this uniquely designed community has brought endless lifestyle dynamics to the city of Shanghai. A public-access block wholly preserved for its historical traits, Sinan Mansions in downtown Shanghai proudly contains 51 protected historical buildings that feature 8 out of the city’s 10 modern architectural styles across its 50,000-square-meter expanse. First built in the 1920s, the block used to gather some of China’s best-known historical figures including Zhou Enlai, Liu Yazi and Mei Lanfang. After renovations that restored the block to its original glamor, the ever-opening outdoor museum has taken a renewed destiny within Shanghai’s fast-changing urban landscape. To date, the historical and architectural icon has launched a number of public events including Sinan Book Club, Sinan Art Salon and DocuSinan that highlight culture, art and life aesthetics, using creativity to enlighten urban public spaces and spreadingthe city’s warmth through humanistic care. The Miguel de Cervantes Library - Cultural Section of the Spanish General Consulate in Shanghai is subordinate to the Cervantes Institute to promote Spanish teaching and spread the culture of Spain and other Spanish-speaking countries. The library has more than 15,000 collections and regularly hosts activities to spread Spanish and Spanish-American cultures about music, history, literature, film and other audiovisual arts. For ten years, the Miguel de Cervantes Library has become the vane of Spanish culture in Shanghai, providing a network and event platform for all those interested in Spanish culture. An established digital undertaking under the Shanghai United Media Group, The Paper is an omni-media news platform that features original news stories. Thanks totop-level Internet news information service qualification, the digital media outlet now produces and gathers an around-the-clock offering of rich, quality contents on current affairs, perspectives, finance and culture for China’s huge Internet population, seeking to become the country’s first-rate omni-media platform for content production, product innovation and service operation. Among its many widely-read columns, City Hall follows the growth of urban political elites, eyes practical transformation issues for Chinese cities, and gathers global wisdom on urban development to propose fresh solutions for concrete challenges.